This is the First Rehearsal of the Allentown Children’s Christmas Chorus!! Auditions are over and the the Allentown Children’s Christmas Chorus has officially launched. 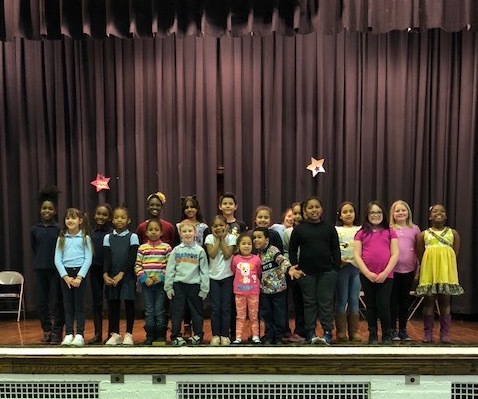 The first rehearsal has been held as the group prepares for a performance with Ms. Godfrey at her holiday concert at St. John’s in December, 2018. In addition to rehearsing holiday songs, Godfrey plans to invite guest performers to the rehearsals to teach students about acting, vocal technique and the audition process. She says she was inspired to create the chorus after discovering how little time and funding is allocated to the arts in Allentown schools. Godfrey, who was recently named President of Friends of Music in Bethlehem, says after seeing the success of that organization’s music education grant program in the Bethlehem schools, she wanted to do something to benefit children in Allentown. Corporate sponsors are needed underwrite uniforms, sheet music and some other costs of the program and Godfrey says she is grateful to St. John’s Church and the Allentown School District, for partnering on this first-time project.